We have an extensive collection of foam weapons that can be used for LARP, Live Action Role Play, practice, sparring, or as part of a costume. 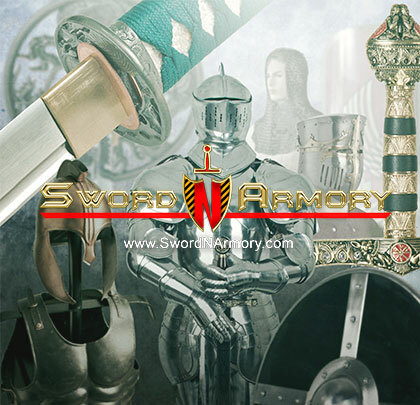 We offer Sparkfoam katana swords, Foam Axes, Foam Shields, Game of Thrones Cosplay Swords, Zelda swords, gladius swords, long swords and spartan sword. This is a 37.5" foam sword with hard plastics core. The blade has a metallic finish and the handle has a gold finish. Special characters & patterns are along the sword. It's a good-looking fantasy sword for LAPR and anime costume. This Axe Foam is the perfect weapon for your next Barbarian costume on Halloween. The Foam Axe is made from a foam type material, measures 20"long, and has a skull head handle.